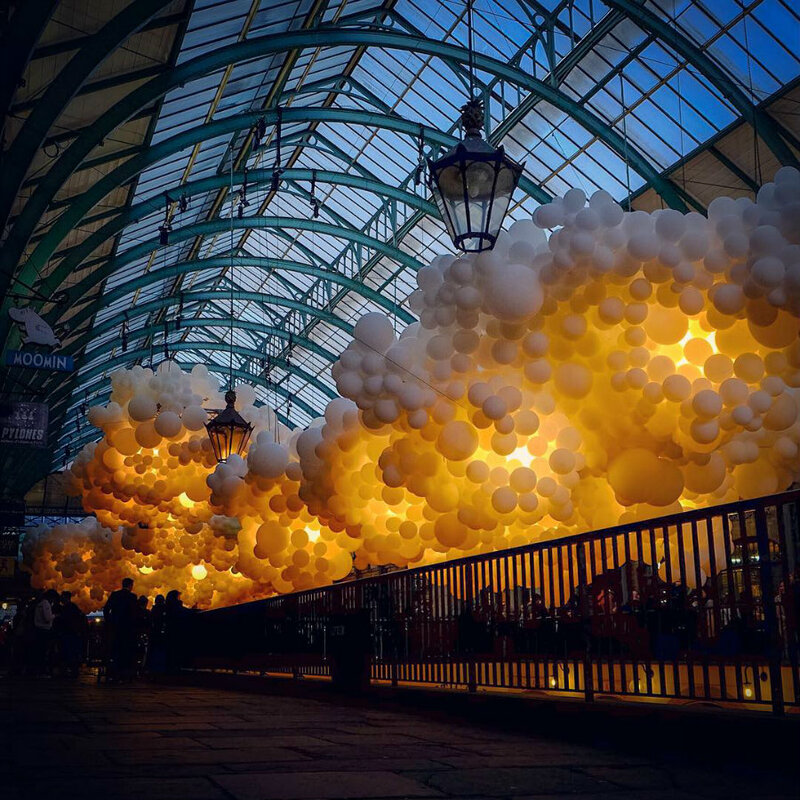 Balloons float inside Covent Garden. 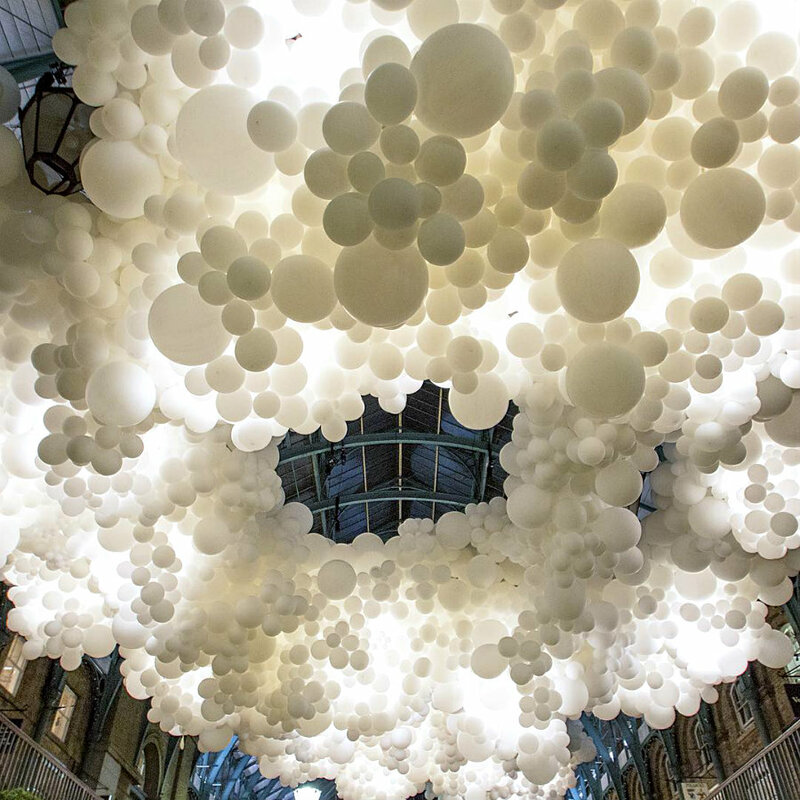 The 19th-century market building in London’s Covent Garden was transformed. 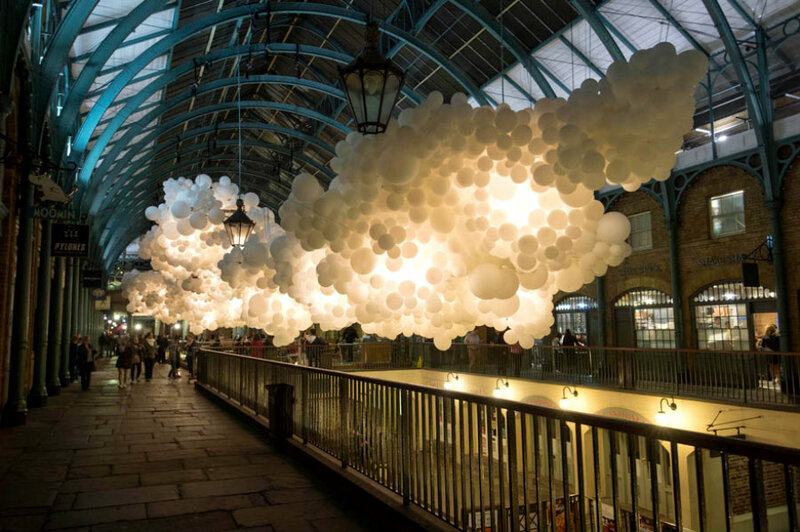 The project is part of “The balloon invasions I create are metaphors,” Pétillon told Design Boom. “Their goal is to change the way in which we see the things we live alongside each day without really noticing them. with ‘heartbeat’ I want to represent the market building as the beating heart of this area – connecting its past with the present day to allow visitors to re-examine its role at the heart of London’s life. ← ‘Frankenstein’ and the science of Life & Death. Covent Garden is one of my most favourite places in the world. I wish I could be there to see this installation. The shot of the balloons lit up in the evening is beautiful.